You cannot fully open your eyes until you’ve had your cup of coffee. 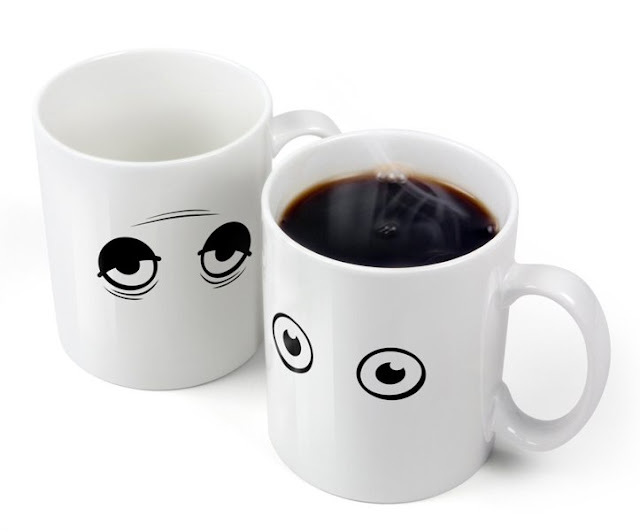 Apparently the same goes for this mug, which will start opening its sleepy eyes as soon as you fill it up with coffee or any hot liquid. The mug’s eyes will start closing again as it gets empty.